Earth’s only natural satellite is important for many reasons. One of America’s favorite science writers gives easy-to-understand explanations of conditions that exist on the Moon, its movements and phases, and how it produces tides and solar eclipses. Beautifully illustrated in full color. This is the first in a series of science juveniles Asimov wrote for Follett Publishing in the late 1960’s and early 1970’s. Unlike the earlier series written for Abelard-Schuman, which included classics like Inside the Atom, The Clock We Live On, and Building Blocks of the Universe, or the later series such as the How Did We Find Out series or Isaac Asimov’s Library of the Universe these books are generally forgettable. Of course, that’s partly because they’re aimed at a younger audience, third-graders in this case. This doesn’t give Asimov much scope, and although he does a good job, the result is still not of the same level of quality as some of his other books. As for the text, it’s reasonably good for its intended audience, and I would have no qualms in having my children use it as a basic source of information on the moon. It’s a bit dated because it was written and published two years before Apollo 11 and so lacks any information on manned lunar flights or the results thereof. Still, the information there is accurate and clear. One little note. 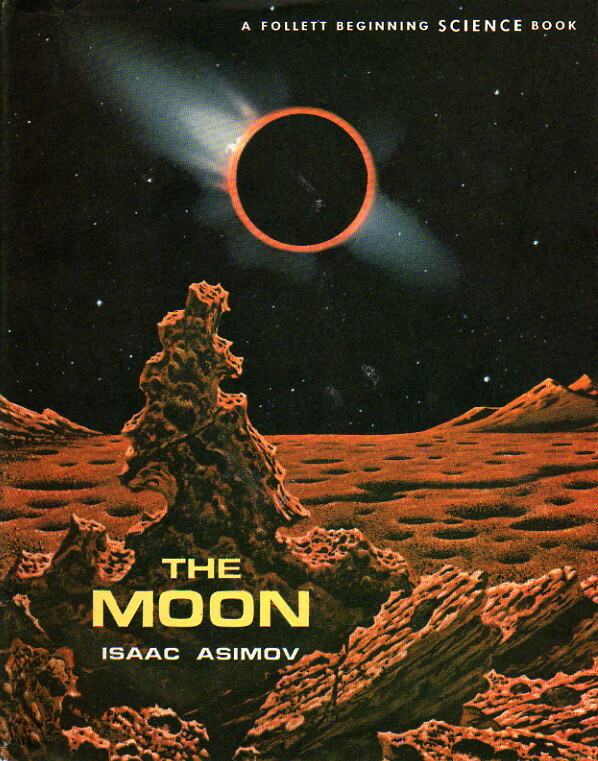 Asimov’s essay “Time and Tide,” found in (ironically), Asimov’s previous book, From Earth to Heaven, inclues the statement, “I’ve just been trying to write a very small book on the Moon for third-graders and as part of the task I was asked to explain why there are two tides each day.” The result is a very nice essay, but strangely The Moon talks about the tides and that there are two daily, but it doesn’t mention why there are two every day. Oh, well.